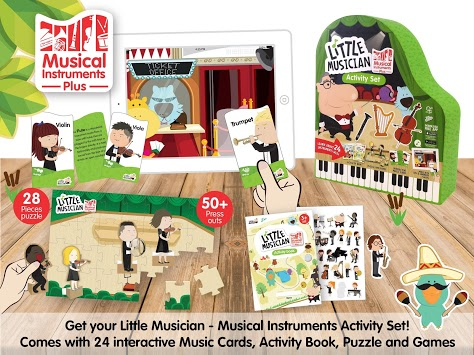 Help your children learn and recognize 24 popular musical instruments. 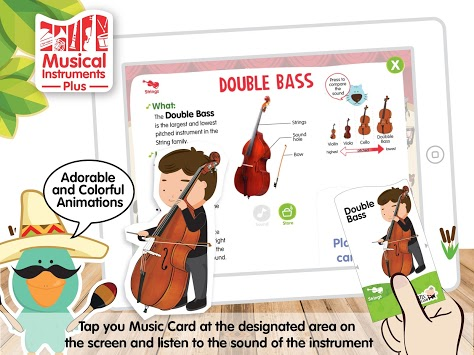 LEARN Children can learn and recognize the sound and image of each instrument by tapping the set of Music Cards on the device. 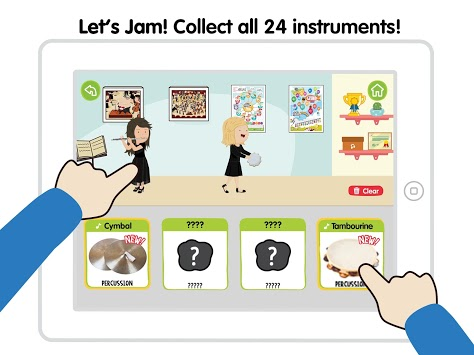 GAME Test your knowledge of instruments through different interactive games including recognition of instrument images and listen to musical excerpts played by different instruments.